Have a question for Neuhaus Inn? "The room is spacious and has its own parking." "Chose this for location near Legazpi airport." "Air condition is good ." 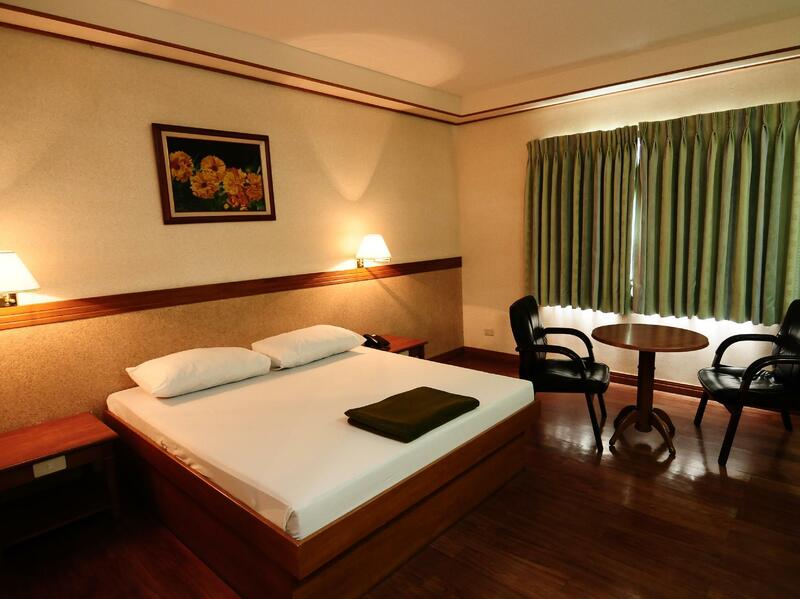 Renovated in 2011, the Neuhaus Inn guarantees guests a pleasant stay whether in Legazpi for business or pleasure. Only 3.4 Km from the city center, the hotel's strategic location ensures that guests can quickly and easily reach many local points of interest. With its convenient location, the hotel offers easy access to the city's must-see destinations. At Neuhaus Inn, the excellent service and superior facilities make for an unforgettable stay. While lodging at this wonderful property, guests can enjoy 24-hour room service, free Wi-Fi in all rooms, 24-hour security, daily housekeeping, 24-hour front desk. All guest accommodations feature thoughtful amenities to ensure an unparalleled sense of comfort. Besides, the hotel's host of recreational offerings ensures you have plenty to do during your stay. Enjoy unparalleled services and a truly prestigious address at the Neuhaus Inn. "Good hotel, good staff helpful, good location for me and saf..."
Totally worth it for those on tight budget. Rooms are clean and spacious enough. We booked a deluxe room which conveniently acommodates the 4 of us not to mention it has a bathtub. Kids enjoyed our stay so i'll definitely recommend this simple but nice place to stay. I was pleasantly surprised with Neuhaus Inn. Place is relatively new and the rooms and whole hotel was spotless. I stayed first night at the separate rooms with garage then transferred to a room in the main building where the reception is. Wifi is weak at the rooms, but you can stay at the dining area where some comfy couches are to watch TV and surf the net using free wifi. There is also a business conference room in case you need some privacy. Bathroom towels though are bit too old and worn out. But overall it's value for money for a simple trip to Legaspi. The location is just a few ways from the airport - I reckon the travel time should take less than 10 minutes so you don't need to worry about missing your flight. There are transportation available just outside which is very convenient. Service is excellent - the staff respects each guests' privacy by delivering orders in a separate room. Wi-Fi is a little wonky so don't expect too much from that. Bathrooms are decent. 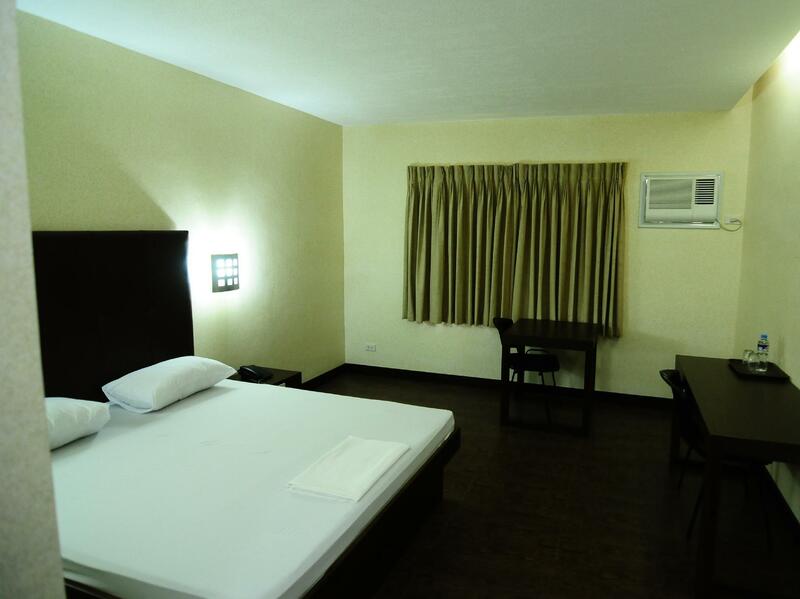 Rooms are spacious and has a comfortable atmosphere. The whole area is quiet and relaxing which is highly appreciated. we stayed here for two nights. checking in was easy. room was clean. food was superb 👌, room service was fast. price is very affordable. quiet and relaxing ambiance. highly recommended for family with young children. A hassle free hotel. Well, not your typical hotel, but if you want a comfortable, peaceful, clean, hospitable staff and NO drama hotel that you should be out by 12PM and IN by 2PM, stay here! You'll be able to stay here for 24 hours at a very affordable rate. The rooms are big as well compare to a hotel that you'll be paying 2000-5000 per night but not spacious. Try NEUHAUS and this will be your next home whenever you visit Legazpi City. Neuhaus never failed us when staying here. Neuhaus has been my home when in Legazpi. The foods are good, but a bit pricey. The staffs are very accommodating and hospitable. The only hotel in Legazpi that has no check in and check out time. It's a 24 hour stay. I wanted a hotel that's near the airport. This one's literally a stone-throw away from Legazpi airport. But as to amenities, I can't really say it's worth the tag. It's an old place, but with large rooms. Hot shower's not properly working. Location's good for people with early flights but not really for tourists. spacious room, well air conditioned, nice toilet, unli wifi (though it logs you out after a certain time but you can easily log in), staffs are friendly and kind, great view overlooking Mt Mayon. food is only up until 11pm though and a bit far from fast food chains if you take a snack at midnight. Amazing, very close to the airport, room very clean and big, I like the wooden floor, nice staff, delicious mango shake, you won't miss it if catching an early flight. Can easily get to the city center by tricycle. However, wifi sometimes is not quite smoothly. Neuhaus has been my home in Bicol, there's no comfort like Neuhaus in other hotels. No such strict policy, especially the check in and out is not an issue because it is absolutely 24 hours stay, if you checked in 2pm, you'll check out at 2pm the following day. Staffs are good and attentive. The rooms and bathroom are always clean. The foods are also good. Near the airport, 5 mins walk. And the hotel has good view with the Mayon volcano. It is near the vicinity of Legazpi. Go try this hotel and you'll surely love this. The hotel rooms are clean, smells good, the bathrooms are awesome! I love being here, this is a hotel with a view. Privacy is also good, the foods are good as well. The only bad thing here is that the internet connection is kind of slow. Nonetheless, everything is great! You should try this hotel. It is more "motel" style but with everything you need. As a bonus you have option to order any kind of meal/drink directly to the room since it is not easy to find food close to the area. 5min by walk to the airport. quiet location. The facilities are average but the staff is helpful. The food is average and takes awhile so order ahead of time. it is very convenient if you have a car as most of the rooms have a car park attached. You will need to find transport to the city area. The facilities are average but the staff is helpful. The food is average and takes awhile so order ahead of time. it is very convenient if you have a car as most of the rooms have a car park attached. The good thing about this place, u can check in anytime and the time clocks in when u check in. Its located near Airport. Something i would highly recommend to implement, At night its very dark at the entrance, i felt unsecure to be at the entrance and each time i need to tell driver to drop me inside. So cannot really walk around at night near the entrance. 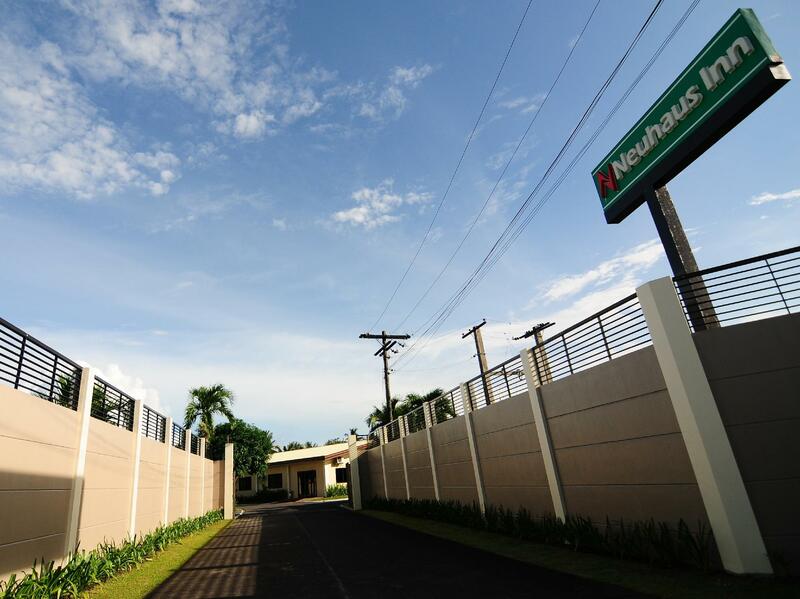 I chose Neuhaus Hotel because I want one close to airport as we only had one day stay in Legazpi. However, I was not satisfied with the room condition. The beds were hard and the advertised complimentary Wi-Fi in the room is not working properly so I had to go to the lobby to have signal. Food is very bad that we decided to eat outside after one meal. The staff were very friendly and helpful so I do not have any problem with them. I will recommend it to travelers who want close proximity to airport. Not recommended for families because Nuehaus Inn is partly a motel. Very Comfortable place base on the staff, area, room and cleanliness, Nice and spacious room and budget friendly hotel. Friendly staff. Highly recommended for people who are looking for a nice place to stay with affordable price with a bonus of accessibility to airport, mayon, casagwa and malls as well.